​Before this season began, Manny Machado outright demanded to play what he considered his natural position, shortstop, the year before his free agency officially began. The timing was...a little weird. As it turns out, while that positional desire will still dictate Machado's destination going forward, the man himself has not played well this season at shortstop. Don't get me wrong; he has been tearing the cover off the ball at the plate. But when it comes to the other side of the game, he has been unimpressive at best. And this is what he wanted. ​​This season, Machado has a pitiful -1.5 dWAR, the worst of any shortstop in the MLB. This was not expected from a usually stellar defender, as last season he had dWAR of 1.0 playing at third base. However, it seems his knees have robbed him of the necessary range to cover the shortstop hole. And, it has not gotten better. Defensive metrics pegged Machado as poor in April, average in May, and gut wrenching in June. I do not remember much good. He sticks what he can get, but just doesn't have the range for it. Unfortunately for Orioles fans, their last memory of Machado before he is set to become a free agent or trade bait is somewhat tarnished. They are not going to get to see any more highlight reel plays from him at third base, like this one. It will be interesting to see this offseason if teams will treat him as a third baseman or a shortstop. 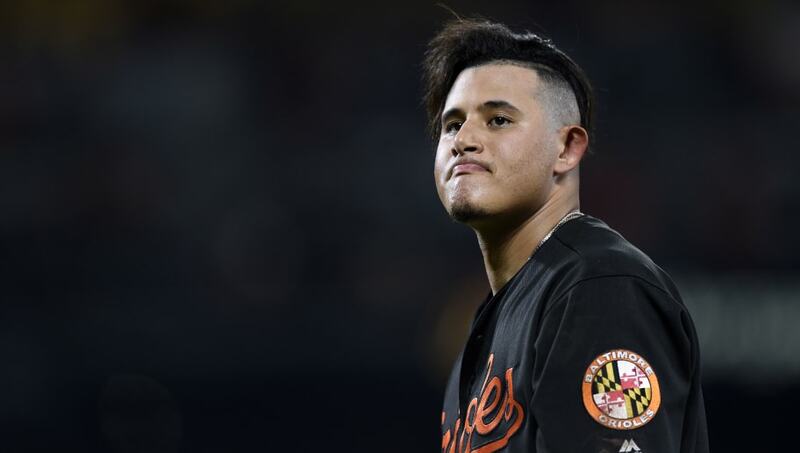 Machado will most likely want to remain at short, but teams may have some concerns about playing him there based on what he has shown this season. However with the bat that he would bring with him, teams might do whatever it takes to get him in their lineup, even if that means letting him play short until he officially can no longer compete at the position.